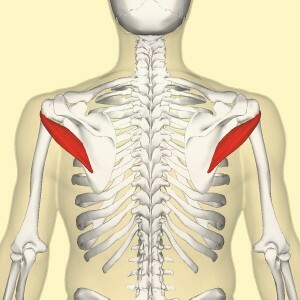 The teres minor is a narrow, elongated muscle of the rotator cuff. The teres minor and infraspinatus attach to head of the humerus (upper arm). 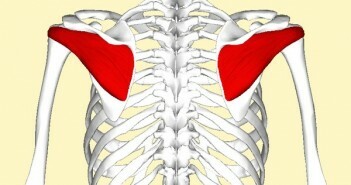 As part of the rotator cuff, they help hold the humeral head in the glenoid cavity of the scapula. They work in tandem with the posterior deltoid to externally rotate the humerus, as well as perform adduction, extension and transverse extension. As part of the rotator cuff, the teres minor helps to stabilise the shoulder during the golf swing, enabling efficient energy transfer along the kinetic chain. To teres minor help to provide the strength and stability to maintain proper arm and shoulder angles in the downswing, thus enabling efficient energy transfer up the kinetic chain, preventing the early release of the golf club, and enabling you to control your swing at a much higher level. 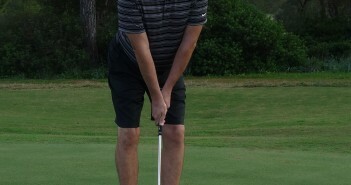 This is especially important with the longer clubs, where shoulder stability becomes crucial for avoiding poor swing technique. In the golf swing follow-through, the muscles of the core work very hard, predominantly through eccentric contractions, to decelerate of the body, especially the arms, post impact. 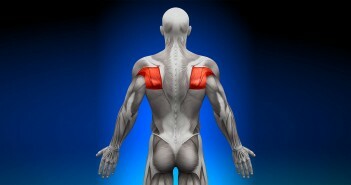 The muscles of the rotator cuff (supraspinatus, infraspinatus, teres minor, subscapularis) help protect the shoulder joint from approaching its end range of motion under high velocity. 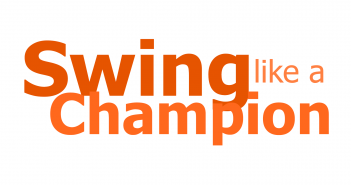 Overview of a Great Golf Swing, which summarises the correct movements in a great golf swing. The Role of the Deltoids in the Golf Swing. Internal and External Rotation, which describes the rotation of the right arm in the golf swing, and how to increase your range of motion.